Stock up on coffee, niblies and sleep – because you’re going to be needing it!! So how do you get on board and start crunching some code? Simple, follow these steps and you just can’t go wrong. 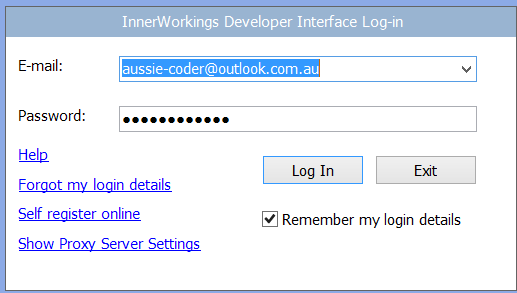 After registering you’ll just need to run the InnerWorkings Developer Interface installer..
Start up the InnerWorkings Developer Interface and log in with the credentials you just used to register with. 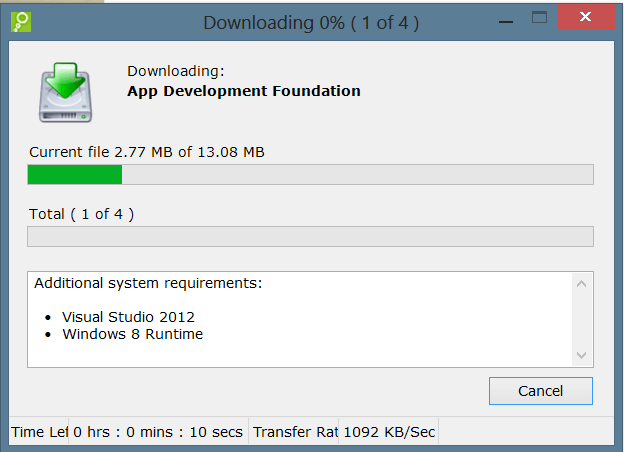 Once you’ve logged in, the first order of business is for the Visual Studio project solution files to download. Once that’s done it’s time to join the competition. Go to the “Achievements” tab. 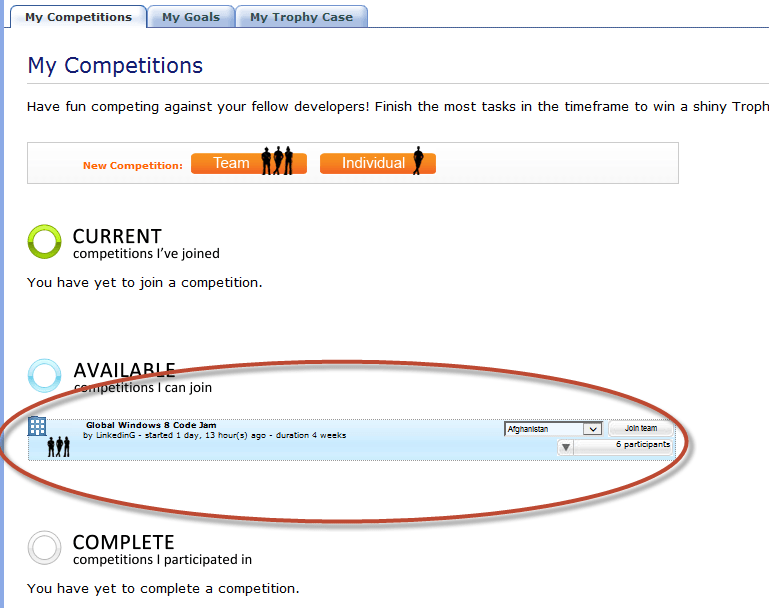 Then click on the “Competitions” tab, inside the “Achievements” area. Then select the country you wish to represent and click “Join Team”. That’s it – you’re ready to get started. 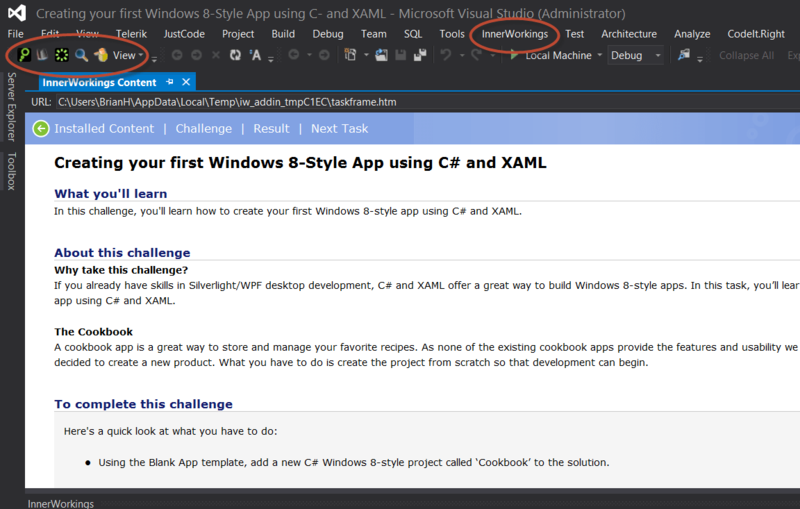 Click on the “Windows 8 app Development with C# and XAML” link on the left hand side under “Installed Content”. After than it’s just about getting your hands dirty..Launch the project code…Click on the first task (or whichever task you’re at), then click on “Challenge”. 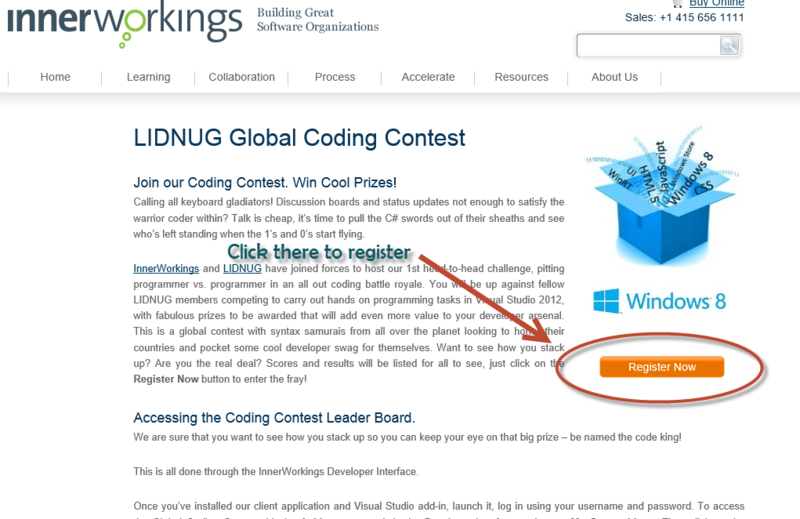 In the Challenge tab you’ll see two buttons..
One which is the “Launch Project Code” option – this launches Visual Studio 2012 and opens up the solution for the task. 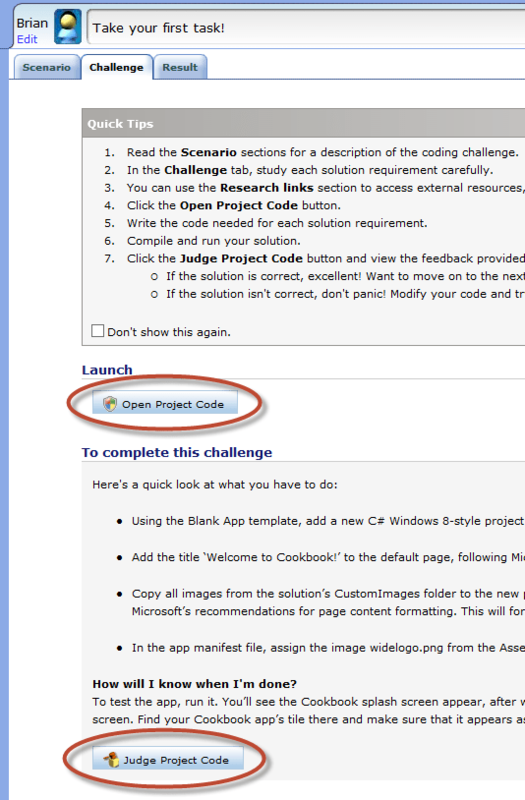 The other is “Judge Project Code” which is used to “Submit” your solution to the competition. Beware, the more times you go submit, the lower score you’ll get. Same goes for using any of the “Help” features around. Once Visual Studio is running you’ll be presented with the “Challenge” details. Follow the instructions and go through the details carefully. The “Judge Project Code” feature is also available inside Visual Studio as the InnerWorkings Developer Interface integrates straight into Visual Studio – nifty. That’s pretty much how you get started with the competition. Each week we’ll be releasing more and more challenges – defeat them all and become the code guru that you want to be! We will also pick weekly winners, so the more challenges you complete, the more likely it is that you’ll win. 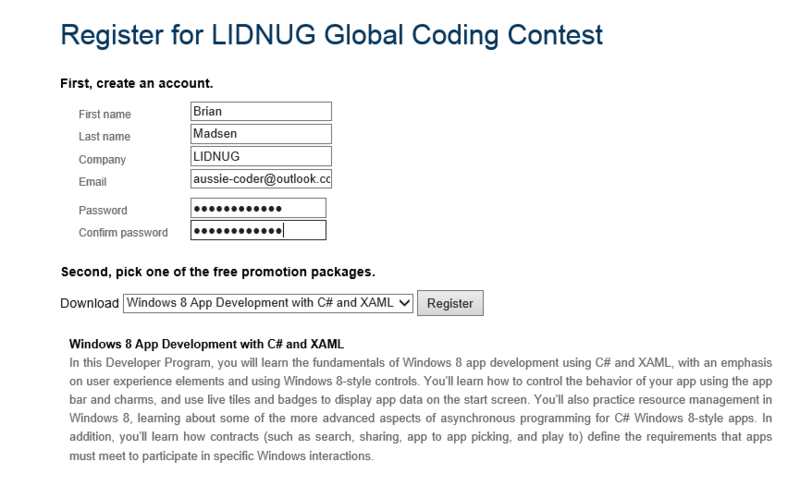 Also, don’t forget to register with LIDNUG (http://bit.ly/lidnug) as you can only win any of the prizes if you’re a LIDNUG member. That’s free too btw. So, good luck and happy coding!